It’s time to say goodbye to the notch as in 2019, we are going to see phones with a tiny hole in the screen for the front camera. Samsung has already confirmed that it will launch the Galaxy A8s with a display hole for the front camera on the top left corner. The launch date is now known yet, but rumors suggest a launch in December. It was previously expected that the A8s would be the first phone to launch with a display hole, but it looks like Huawei is ready to steal the show. 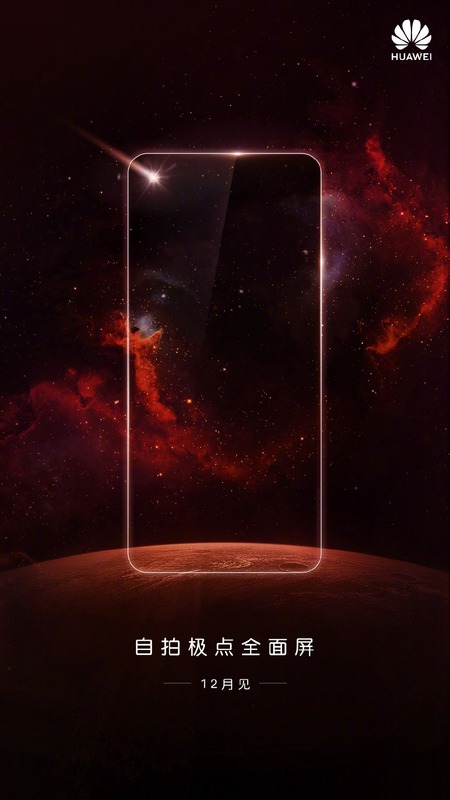 On its official Weibo page, Huawei teased an upcoming phone that has a hole on the top left corner. This clearly shows that Huawei wants to launch a phone with Display hole before any other brand does it. The exact launch date of the phone wasn’t revealed, but the phone is launching in December for sure. So, let’s see which brand comes on top regarding launching a smartphone with a tiny hole in the display for the camera. Who knows maybe some other brand from China does it before Huawei or Samsung!